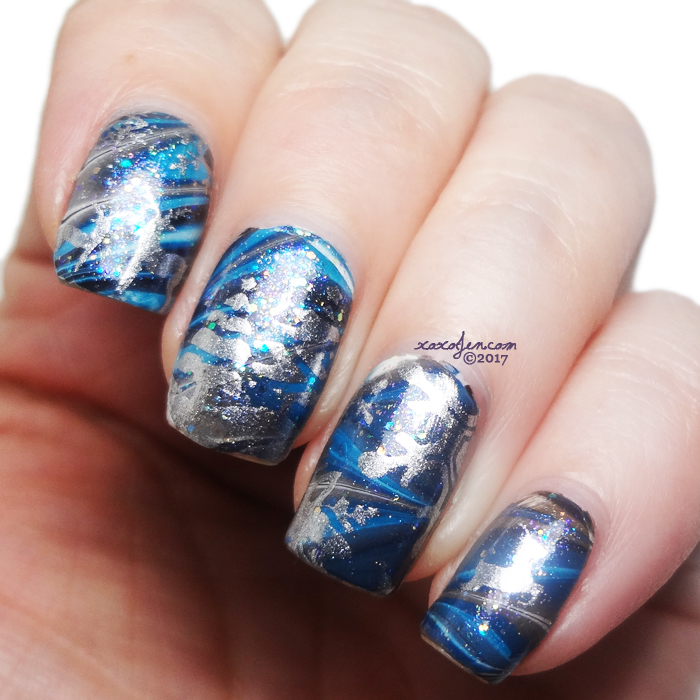 xoxo, Jen: Girly Bits Watermarble: Stamped! After I wore my Girly Bits watermarble for several days, I stamped over it! I used a Christmas plate set of 3 that I got last year from Aliexpress. It doesn't really have a brand name, just MR 01, 02 and 03. They all have super cute images on them for the season. To stamp I used Jolie One Helluva Holo - it is super sparkly and opaque, stamps perfectly every time. Hope you enjoyed the review, and don't forget to comment and follow me on your favorite social media!